They are all gorgeous, and the quilting is so so perfect. 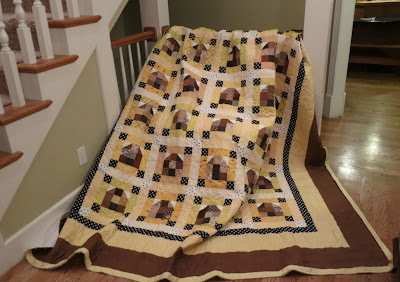 :) I am going to make me one of these, sooner rather than later---maybe a January project, hmmm? 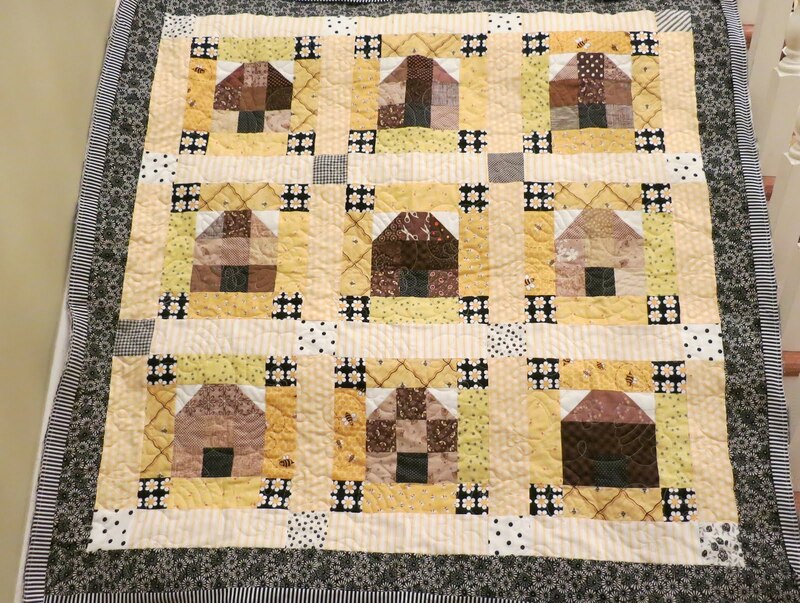 wow nanette...that quilting is amazing! I'm glad you showed the back so we could see. 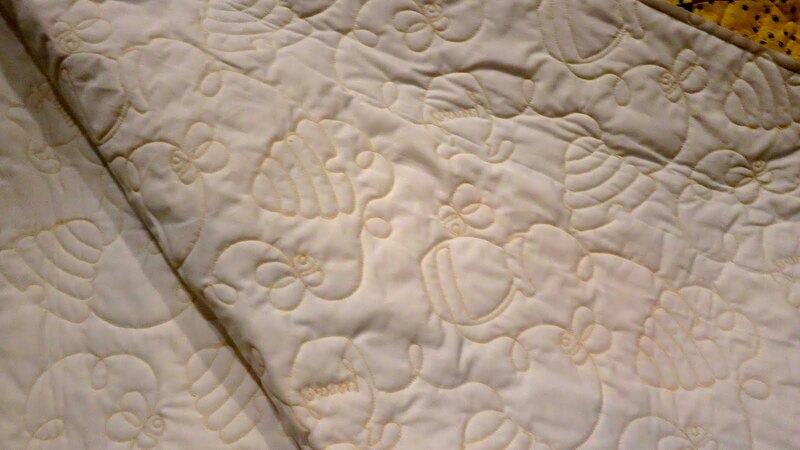 This quilt pattern is so cute.. I think it's really great that you all made one...i'm sure your mom is proud! That must make you so proud to see your family all working away on your very own pattern. They all turned out so pretty, too! Very fun Nanette! Do you have to bribe them to your retreat by promising binding LOL??? 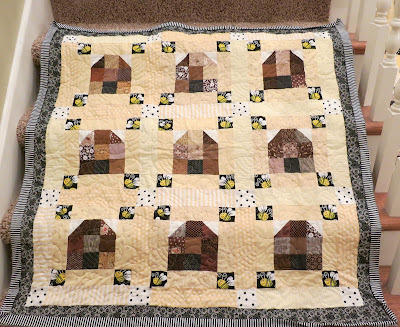 What terrific quilts! How nice that you all share a love for quilting (well except for binding maybe). Oh those hives! I think of your mother when I see the hives. Amazing quilting for sure. Lots of patience there! All those women creating! What a weekend. What a treasure! I know everybody had a great time making them. 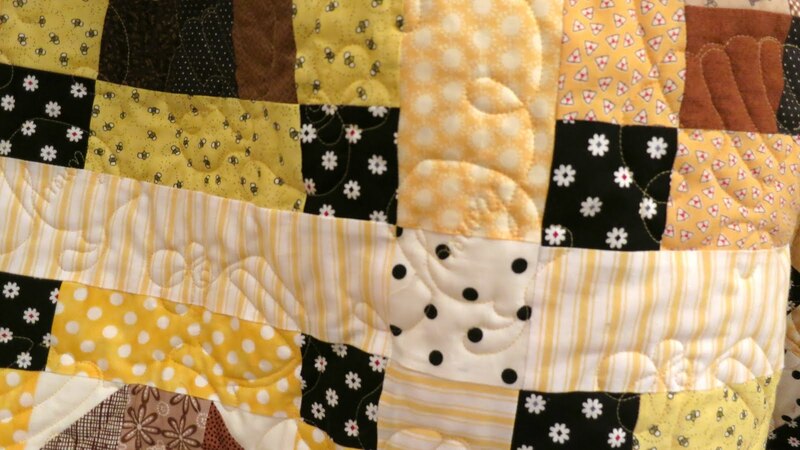 The quilting is darling. Humm. Might have to send my table topper to get that same design on mine. I need to post my photo of my Freda's hive table topper. Thanks for sharing! The quilt is beautiful and what wonderful memories you are making :) I'm sure it is a tradition that will be carried on for years. What a talented family! They're beautiful. 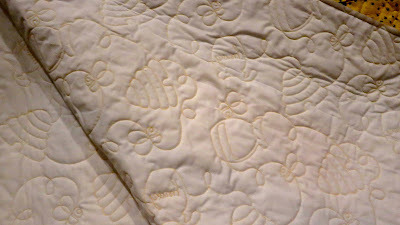 Love the beehive quilting design, too. Wow ! My quilt turned put beautiful. I am excited to see and touch it in person. A million thanks to you for sewing on the binding. You always get such with extra work. What would I do without a fabulous sister like you. Love them all and such beautiful quilting!!! Boy I have missed visiting your blog...so much to catch up on! Oh My Goodness. I love this quilt! I have some yellow, black and white fabrics that would loom great in this pattern. Yeah for deseret.